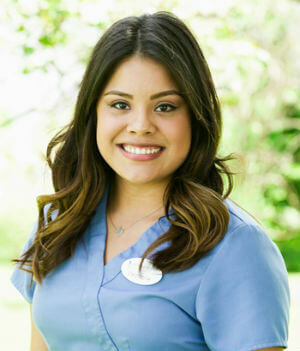 Stephanie Gutierrez has been working with Whole Family since 2013 and has worked her way into her very detailed position as the lead chiropractic assistant. In layperson’s terms, that means she runs the place! Originally an intern from Virginia College in medical assisting, we liked her so much that we have kept her ever since. During the first educational seminar we attended, Stephanie couldn’t have a glass of wine with dinner because she wasn’t even 21 yet! Stephanie is from Taylor, TX, has 3 sisters, one dog and one boyfriend. She has come to see the amazing ways that Chiropractic changes lives and is very happy to be an integral part of our team. We love her too!